After spending years turning wrenches, Daniel Hawn took the plunge last year and stepped behind the wheel of an OSCAAR Pro Midget. Based on the success, maybe that should’ve happened sooner. The second generation racer impressed fans all season, ranking second in the year-end standings with six wins, six runner-ups, a third and a 12th in the 14 races. Easily so, he was honored with the Rookie of the Year Award at the banquet. While admitting that the season overall was huge confidence, the runner-up finishes to eventual series champion Jordan Hanna had Hawn wondering if a single win was possible. Now entering 2018, it’s no secret that all eyes will be on the No. 2 OSCAAR Pro Sprint to see if he can repeat the success. Hawn adds that it’s no secret their goal is to win the championship after coming a mere nine points shy last year to Jordan Hanna. He feels he has everything in place to do so, from “a perfect car” to the best equipment with some new updates that will get the job done. However, with the competition building each season, it won’t be a cake walk for Hawn either given the amount of talent on the roster right now. Looking at his competition, the sophomore says you’ll need to keep an eye on James Stanley, Tyler Cullen, and Jaden Riddell. “The 57 of James Stanley – that car has a very similar set up as mine,” Hawn explained. “I worked a lot with James to get that car to where it was at fall colors. It was a rocket. We have become good friends and I think this year he’s going to be close to my rear bumper and be one to watch. “The second car is the car I built for Tyler Cullen. Me and my crew poured almost six months worth of work in this car and it is perfect! Kind of sad to let it go, but if Tyler can learn quick, I think he might also be one who will be a contender. 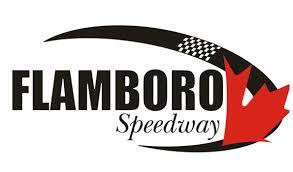 The OSCAAR Pro Sprints will kick off their schedule at Sunset Speedway as part of the track’s Velocity 250. With it marking the series’ inaugural appearance at the Innisfil, Ontario oval, the excitement entering the race is off the charts. While there’s a lot of hype surrounding the season opener, that can also be translated to the series in its growing stages right now with lots of cars being bought, sold, and built. “I hope that we get the car counts that we anticipate,” he added. “It has to potential to really take off if we do. Operating cost aren’t much on these cars. So it’s perfect for someone who doesn’t have a 28ft trailer and a team of people to work on the car. A driver and one crew member is all you need. Hawn is also thankful to have the crew behind the scenes that has allowed his Hawn Motorsports team to be successful so quickly.